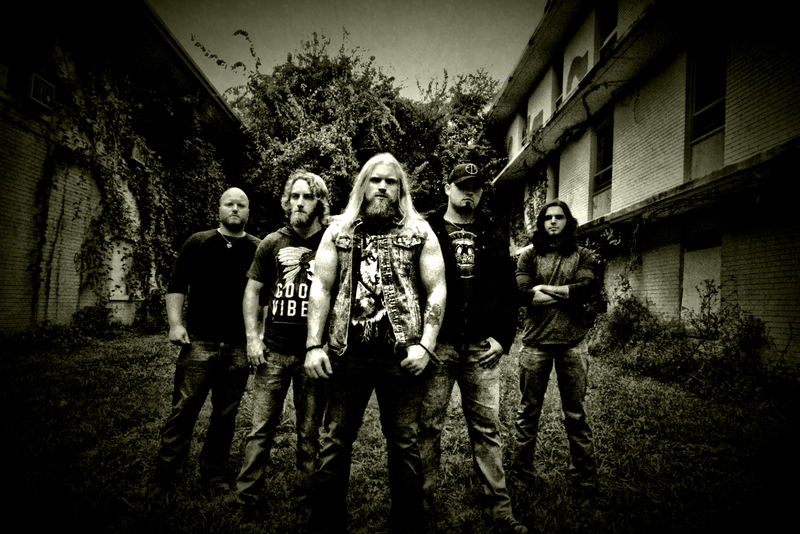 BareBones Ent got the chance to sit down with Matt James of Blacktop Mojo to chat about the band. If you haven’t checked out the band yet you need to because they’re going to take over the rock charts. Check out the interview and video below. Jump on the bandwagon; we’re saving you a seat. BS: I really want to dig right into the album. Burn The Ships, is such a great album. When in the creative process did you know you had something special? BTM: Thanks very much! I’m glad you enjoy it. I don’t know if we ever had the thought of “we have something special here” during the creative process. We really just tried to make songs that we’re special to us that conveyed the emotions and things that we were going through while we were writing them. BS: How did this album come together? BTM: The album came together over a period of a year or so where we were writing songs and bringing them to our producer, Philip Mosley, who helped us arrange what we had and lay down demos. Sometimes the songs would start with one piece, like a vocal melody, a guitar riff, or even a drum beat, and the five of us would get in our rehearsal space and work parts out a little at a time until we found something we liked. Then we’d stop and go back and build on that part and piece the song together a little at a time. About half way through the writing process, we had the amazing opportunity to work with legendary producer, Jimmy Johnson and his long time engineer Steve Melton at FAME Studios, where we recorded the first two songs we recorded from the album, “Where The Wind Blows” and “Chains”. We really liked the sound they helped us achieve and became very good friends with both of those guys, so when it came time to record the rest of the album, we went to Nashville, TN to Sound Emporium and recorded the rest of the album with Steve engineering. After the Nashville sessions, we came back home to the studio where we cut our demos and did a lot of guitar overdubs for the next month or two. During that time, we ended up finishing up the title track, “Burn The Ships” and wrote “Make A Difference”, which ended up rounding out the album. We kind of recorded it here and there and everywhere and all in all it took about three months to complete. BS: Your cover of “Dream On”, is possibly the best cover of the song I have heard. What made you want to cover “Dream On”, by Aerosmith? BTM: Thank you! We had been putting out a cover or two every couple of months on YouTube while we were writing. After we put out a couple, a friend of ours told us that we should try “Dream On” and Philip, our producer thought it might turn out cool, so we all learned the song and gave it a shot. When we put it out on YouTube, it kind of took off more than the others, and the subject matter of the song seemed to fit with a lot of the themes of the album, so we decided that it would be a good addition to the record. BS: What is it like for you to hear your songs come on the radio? Is it still exciting each time? BTM: I don’t think it’s really settled in yet. We don’t have too many rock stations where we’re from so we don’t get to hear it directly, but we have a lot of people reach out through social media to tell us that they heard it where they’re at. We always hoped we’d be on the radio one day, so it’s very cool to see people getting excited about it. BS: What are you most proud of about the album? BTM: Personally, I am most proud of feeling that we completed it. It took what seemed like a very long time to bring it all together through all the different sessions. Then after completing it, to be able to form our own label to release it and get radio play as an independent band has been a wild ride, to say the least. BS: Stepping away from the album. What do you feel that you guys represent as a band? BTM: I’d like to think that we represent authenticity in a way. All of our songs are written about emotions that us or someone close to us have felt or things that we’ve gone through personally. Hopefully that comes through in our playing. BTM: Recently, we’ve been starting the writing process again and writing as many songs as we can. BS: When will you be coming through any towns for shows? BTM: We actually will be leaving in July on our first U.S. Tour to support our radio single “Where The Wind Blows” and the rest of the album. The shows are all going to be free to anyone who wants to come. We’ll be sliding up the West Coast first, and working our way across the rest of the country through the end of September. BS: What is next for Blacktop Mojo? BTM: We’re going to be touring around to every place we can and playing our music for anyone who wants to listen, hopefully making a lot of friends along the way. BS: What is the best way for fans to stay connected with you? BTM: People can find us on their social media of choice (Facebook, Twitter, Instagram, etc.) We still run them all ourselves, so reach out and say hello! BTM: Thank you to all our friends and supporters that have encouraged us to get to the point we’re at. Hopefully this is just the beginning for us, and we’ll see you in your town this summer! !